Pretty cute design by artist Yiying Lu. Dumplings are one of the most universal cross-cultural foods in the world. Poland has peirogi. Tibet and Nepal have momos. Russia has pelmeni. Japan has gyoza. Italy has ravioli. Georgia has khinkali and China has potstickers. Yet, there is no dumpling emoji. 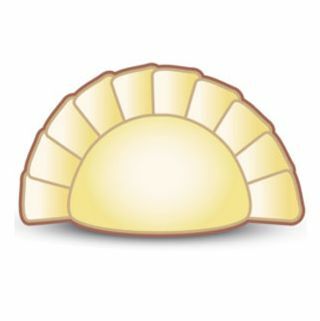 There is a pizza emoji, a taco emoji (thanks, in part, to Taco Bell’s lobbying), a hamburger emoji and even a tempura emoji, there is no usable dumpling emoji in the standard set. There’s a time to change that and that time is now.